Unwind under the coral trees at Westfield UTC while listening to acoustic sets by local San Diego musicians. Join us every Wednesday through Sunday from 12:00pm - 2:00pm in Palm Plaza while dining and listening to these talented artists. When the stars align and musicians, Nathan Rivera and Jessie Andra Smith are in the same place at the same time, the duo is a sight to be seen and heard. Their musical style is a fusion of gypsy jazz and folk, and blues music all played on National Reso-Phonic guitars. Throw in an accordion and some harmonica and this duo creates a unique musical experience. Nathan's eclectic accordion and virtuoso guitar improvisation along with Jessie's jazzy sweet vocals and rhythm guitar make for a unique style of gypsy blues/folk music that tell their stories of like, love and travel. Kevin is a San Diego acoustic artist who’s rhythmic guitar and powerful vocals create energetic and engaging shows. He offers a diverse collection of music that spans classics of the 60s, 70s & 80s as well as current top 40s and everything in between. His upbeat originals tell relatable tales of good times, love, and heartbreak through his unique style of storytelling. Singer-songwriter Jeff Brinkman’s music moves the soul, allowing space for listeners to find pieces of themselves. Originally from Iowa, Jeff headed West in search of his dreams, where he quickly gained regional notoriety and went on to tour nationally. Jeff performed as a semi-finalist on Season 3 of FOX’s The XFactor, and was featured in the top 10 for his age group. His performance of Joe Cocker’s “You Are So Beautiful” for the likes of Simon Cowell, Demi Lovato, Kelly Rowland, and Paulina Rubio, who unanimously praised his raw vocal talent and moved him forward in the competition, went on to be viewed by millions around the world. In 2014, Jeff teamed up with the Clean Water Tour as a featured musician in their multi-media events aimed at raising awareness for clean water causes around the planet. Jeff has long been involved with rock-n-roll cancer charity Love Hope Strength and joins the ranks of Donovan Frankenreiter, John Oates, Shawn Colvin, G Love, Brett Dennen and others in inviting and inspiring the music community to lend their voices in the fight against cancer. At age 7, Jeff started learning to play the guitar. After losing his mother to cancer when he was 10, Jeff wrote a letter to her that turned into his first song. He’s been sharing his life experiences through writing and performing music ever since. From the Island of Oahu emerges singer/songwriter Kekoa Tsukiyama. Deeply rooted in his passion for R&B, his soulful voice mixed with Island Reggae beats helped breed success across the Hawaiian Islands.At the ripe age of 18, he created CitySide. In 3 short years their Debut album "Welcome to the CitySide" was released, producing the #1 Hit "Come on Pretty Baby" and crowd favorite "Lady Soul." Their Sophomore Album "Welcome II the CitySide" with the recent Grammy winning producer and engineer Dave Tucciarone didn't disappoint with another #1 hit in "Ooh. "In 2013, Kekoa decided to venture out and move to the Pacific Northwest to pursue his music career. After making his presence felt there, Kekoa decided to move to sunny San Diego and worked with renowned Producer Lewis Richards on the single ""People Unite"". He quickly followed that up with the dance hall inspired "Feel Good" and the inspiring "Smile". Things are looking bright for CitySide. With new music in the works as well as Tours, be sure to catch a show near you.CitySide has shared the stage with the likes of Rebelution, Common Kings, and J Boog, just to name a few. Having opened for B.B. King, performed at the Musician’s Institute graduation ceremony, and being a semi-finalist in the “Show Me The Music” national songwriting contest in Memphis, TN, Mike Officer’s career is one of diversity. Lyrically driven and genre-bending, his latest release titled The Jupiter Sessions EP expresses his unique style and powerful vocals. Mike Officer solidified his music career after attending the Musician’s Institute in Los Angeles, where he was selected as an honorary performer at the graduation ceremony and won Songwriter of the Year from the San Diego Songwriters Guild. He began playing gigs around the L.A. and San Diego area before opening for the legendary B.B. King and touring with the Kory Montgomery Band. Marcela is one of San Diego’s hidden gems that truly loves what she does - and that is entertaining people, especially with her comedic flare. Marcela is originally from Walnut Creek, CA but moved to San Diego 18 years ago to become a part of this great City. Marcela got her start in Musical Theatre which truly helped her transition into becoming one of San Diego’s favorite female entertainers. Her lower register offers a smoky blend that reminds people of a cross between Natalie Merchant and Stevie Nicks. Add in Marcela’s Chilean descent, she is as comfortable singing in Spanish as she is in English. Her ability to sing both allows her the opportunity to appeal to an even larger, more diverse audience. Marcela’s love for music has her performing a diversified selection of well known Rock tunes that range from the 60’s all the way up to today’s top Artists. Songs by the Beatles, Elvis, Johnny Cash, Mel Torme, Tina Turner, Fleetwood Mac, U2 all the way up to Ed Sheeran, Jason Mraz, Justin Timberlake, Amy Winehouse and Adele scratch the surface of all the music she loves to perform. Some of the Spanish Artists that she covers include Selena, Shakira, Reik, Jesse y Joy, Zayra Alvarez, etc…. She will truly impress when she performs Roy Orbison’s “Crying” in Spanish - it is a beautiful rendition. So many artists over the years have inspired Marcela to become the singer that she is today and she considers herself very fortunate to share something that she loves for others to enjoy that will surely remind us all of different eras of our lives. Ben is a member of Stateside Islander Crew, which brings you the best of Pacific Island style Music to the Mainland. 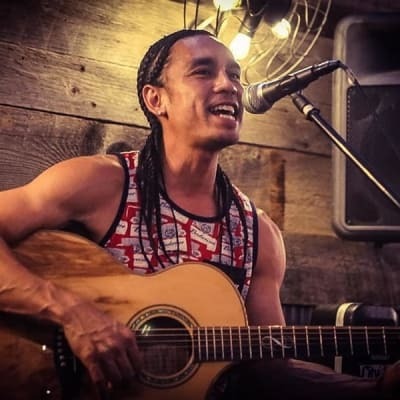 A talented musician on his own, Ben blends together a unique flavor of the Islands, Reggae, Jahwaiian & Rock. For singer-songwriter and guitarist Mikael Pederson, music is a way to connect with the world and inspire those around him. Born and raised in Oregon, Mikael began his career at a young age singing and playing weekly with his band at the local coffee houses. His music has drawn comparisons to artists like John Mayer, James Taylor, and Ryan Adams. With hints of soul and blues driven guitar riffs, he adds vivid storytelling to create a compelling performance. 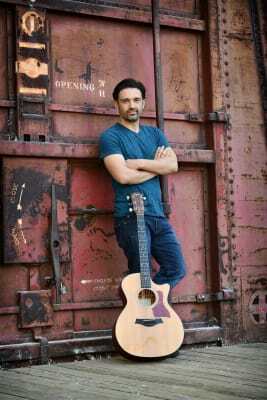 Mikael seeks to inspire and encourage others through his songs and performances which have taken him to places such as the House of Blues, Clackamas County Fair, Alhambra Theatre and Alberta Street Pub. His first EP, “Turn This Around,” captures Mikael’s heartfelt approach to the ups and downs of everyday life and love, reminding listeners that “time’s not on our side”. Mikael’s new EP “Home” was released in January 2016 with four full band tracks featuring electric guitar solos and upbeat vocal hooks. The album is inspired by taking life a little slower and remembering the importance of connecting with a community. Songs from the album have been featured on Kink 101.9, Krush 92.5 and Pandora. Currently Mikael is working on new material in Los Angeles and will be releasing a single in the spring of 2017. The Heart is an uplifting and heart moving Acoustic Duo. Their Genre extends from high energy, feel good Top 40, Classic to Modern Rock, Country, Indie, Reggae and Folk. They've been categorized with bands such as: Ed Sheeran, Mumford & Sons, The Lumineers & Imagine Dragons. They'll keep you smiling, dancing & singing along to their heart moving song renditions.The Duo consists of Dale Peters who sings Lead Vocals, plays acoustic Guitar using various effect pedals and loops, simulating electric guitar, bass guitar, synthesizer & looped percussion; while simultaneously playing organic percussion through an electronic Kick Drum.... thus simulating the sound of a full band. Dale is accompanied by Cindy Peters on Lead Vocals as well as harmonies and percussion, who also doubles as our Sound Engineer. Matt Commerce is a Virginia-born singer/songwriter, now based in Southern California. 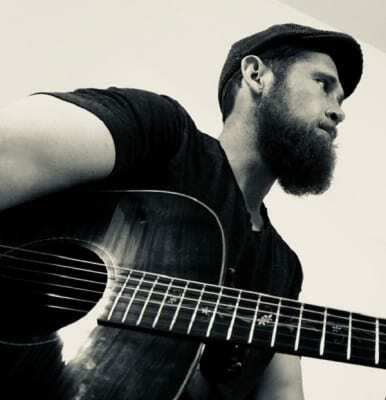 His style blends catchy melodies with acoustic guitar and a smooth soulful voice. A student of cello and stand-up bass as a child, Commerce picked up the guitar at age twenty, and within two years became a full-time performer. In 2005, Matt moved to San Diego, and began playing acoustic shows at restaurants and bars up and down the California coast. Mike was born and raised in Connecticut, but settled in San Diego, California in 1998. He began writing music for fun in the mid 90's just to pass the time while he was traveling throughout the US as a Computer Programmer/Analyst - Consultant where he also taught himself how to play the guitar. Mike’s sound has been described as that of Jack Johnson’s laid back soothing style, but if you ask him he'll say "I really have no idea. I've been influenced by so many different artists. I can't put my finger on it. You tell me! I'm just having fun." Joe creates a unique combination of live loops using percussive beats by thumping his guitar, laying down the chords, and playing bass lines (using the octave guitar pedal). In addition, he sings the melody while often times looping vocal harmonies. Perhaps the most unique aspect of his show is Joe's ability to open up the songs by picking up any of his four saxophones and playing soulful solos with the loops in the background. Joe's sound can be described as a melting pot of Howie Day, Jason Mraz, Jack Johnson, and Dave Matthews, topped off with tasteful saxophone solos. Sandi King and Joshua Taylor formed King Taylor Project in 2016 in San Diego, California. Conceived as a flexible platform based on their shared love of soul, blues, and jazz music, KTP features a roster of energetic improvisational musicians supporting soulful vocal performances. Since their launch in February of 2016, KTP has appeared for more than 140 performances in formats ranging from duo/trio to 8-piece band, in settings including bar/restaurant gigs, private parties and weddings, local fairs and festivals, and local radio and television appearances. They completed their first two tours in 2016 and just returned from their 2018 tour, which included the band's first full national trek. KTP's next stint on the road will be for the KTP Tea Bee DeTour, a five week Western US regional tour starting in late February 2017. Sandi and Josh have begun writing new material, and they are proud to share the stage with a wonderful group of collaborators whose contributions will extend to the studio for the first KTP album. Music has the power to transport us to another time and place - Lauren Leigh loves to harness that power with a broad audience of fellow music lovers and passionate musicians alike. Since a young age, Lauren has found great joy and satisfaction in making music and sharing it with friends and the public. She finds musical expression across many genres, and has played with many of the finest musicians in San Diego. She can be found singing the Laurel Canyon singer-songwriter music of the 1970s with Mud Slide Slim, soul/R&B with her band the Low Keys, and vintage country with Wild Heart. Lauren and Sam have been evolving their sound since 2014, finding musical expression in rock, R&B, blues, and traditional country. Lauren's deeply soulful and potent voice blended with Sam's eclectic guitar style have earned them a reputation as a unique and talented pair.